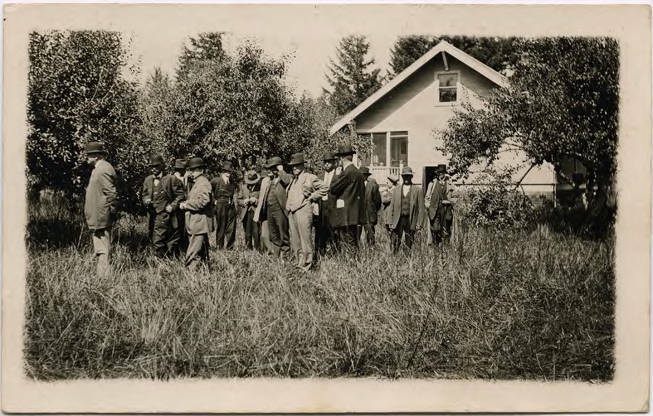 Black and white image of a group of men in suits and hats standing around a grassy yard in front of a two-story, gabled house. The men wear suits and derbies, and one man has a notepad sticking out of his pocket. 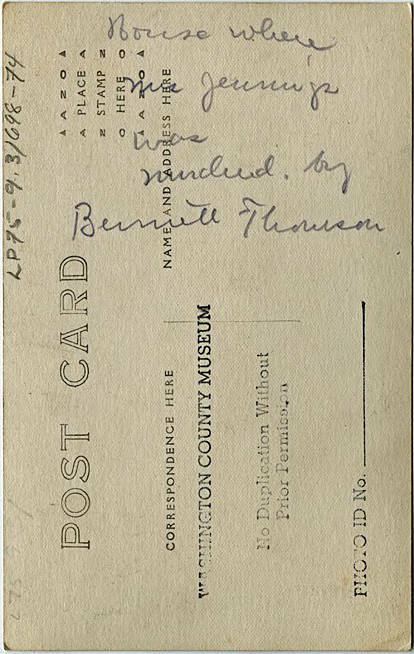 [Back] House where Mrs. Jennings was murdered by Bennett Thomson [sic].